While pinched nerves are a common ailment, they often result in pain, discomfort, numbness and even muscle fatigue. While the nerves at the base of the spine and neck are most commonly affected, any nerve can become "pinched," resulting in pain across the body. With proper rest and treatment, however, the patient should experience some relief within several days. Nerves become "pinched" when too much pressure is applied to the nerve by surrounding tissues, including cartilage, bones, tendons and muscles. When the nerve experiences pressure, it may disrupt the normal function of the nerve, resulting in a tingling sensation, muscle weakness, numbness and pain. Although a pinched nerve can occur anywhere on the body, the lower back, neck and shoulders are most commonly affected. 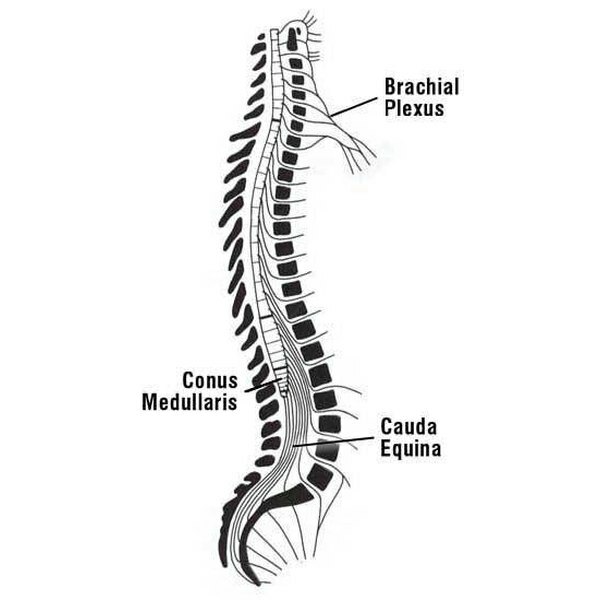 When these nerves become pinched, the nerve roots are also affected, resulting in pain that may radiate from the base of the neck to the arms, hands or even legs. Many homeopathic specialists encourage the use of a cinnamon-based paste to provide relief to necks suffering from pinched nerves. To make the paste, combine 1 tbsp. of cinnamon, 1 tbsp. of honey and a quarter cup of rose water. Mix and apply with a washcloth to the area, and leave on for approximately half an hour before washing off with warm water. This concoction is noted to provide relief by relieving the pain temporarily. An additional homeopathic remedy for pinched nerves is to cut a raw potato into thick slices. Lay the slices over the afflicted area and leave on for half an hour. After the potato begins to dry, remove and wash the area with warm water. This remedy is reported to assist in speeding the recovery of the pinched nerve, and may provide relief to some patients. Some patients have experienced relief from painful pinched nerves by applying warm mustard oil to the neck. This mixture should be left on the neck for as long as possible. The concoction apparently works because it assists in loosening the nerves and helping them relax; this relaxation ensures that the nerves realign in the correct position. The easiest homeopathic remedy for a pinched nerve is rest. Patients should refrain from any unnecessary physical activity, and should be sure to obtain six to eight hours of sleep a night. In addition, patients may find relief in applying ice to the area for five minutes at a time. Patients may also try sleeping without a pillow and sitting with the back aligned properly upright. This ensures that the back is not hunched, which aggravates the pinched nerve.